They’re bringing two of Albert Square’s best-known characters to Dunmore East and to kick start EastEnders’ spin-off in style, BBC producers have enlisted a string of famous Irish talent. Veterans Fionnula Flanagan, Maria Doyle Kennedy and Ian McElhinney have signed up to star opposite Shane Richie and Jessie Wallace as their hit characters Alfie and Kat touch down in search of the leopard print loving barmaid’s long lost son in the six-part drama Redwater. The strong line-up signals a promising start for the production, which is set to begin filming next week and will be broadcast in 2017. Flanagan is well-known to audiences thanks to her portrayal in in big budget projects including Lost and Star Trek. Singer and actress Kennedy has featured in Downton Abbey, The Commitments and John Carney’s new film Sing Street, while Ian McElhinney is recognisable for his work in HBO’s TV phenomenon Game of Thrones, Ripper Street and The Fall. Rounding out the Irish ensemble cast are Shameless star Angeline Ball, Brooklyn’s Peter Campion and The Tunnel’s Stanley Townsend. Set in the fictional harbour village of Redwater where the Kelly and Dolan families have lived for generations, the programme will see Kat and Alfie Moon arrive in search of her long-lost son. As the story unfolds, Kat’s quest for the truth uncovers dark secrets of the community. During April 2015, it was revealed that Kat and Alfie would be taking a break from the main show to star in their own spinoff. The series was due to air as six hour-long episodes, it would start filming later that year, and it would see the couple head over to Ireland to search for some answers to some very big questions. However, fast forward a year and it's fair to say that things have changed slightly. Filming never happened last year and the series appears to have been delayed due to unspecified reasons. The change has still had its positives though, as fans saw Kat and Alfie briefly return to EastEnders over the festive season for some explosive drama which paved the way for their Irish journey. Redwater - as it's been named - will still air as six hour-long episodes, but is now very much being billed as a standalone drama series and not a spinoff. Redwater plot: What's going to happen? Production is in the early stages, but we do know that Kat and Alfie end up in the village of Redwater to search for her long-lost son - who she gave birth to in 1985, but has no recollection of. We also know that Alfie has a brain tumour. And it's recently been teased that Kat's quest for her estranged child will unsettle the Kelly and Dolan families and uncover secrets the village of Redwater would rather were left buried at sea. "We have a really important and fantastic story to tell," director Jesper Nielsen said. "About how one woman's search for a lost child opens Pandora's box; revealing the terrible lies and secrets in the little village of Redwater. A story about how the strong bonds of love in a family can hold everything together, and yet at the same time - destroy everything." The production will apparently have echoes of a Shakespearean drama and will be told "in a rich cinematic style, loaded with humour and suspense". Intriguing! Redwater cast: Who's in it? We always knew that Shane Richie and Jessie Wallace would be reprising their popular roles as Kat and Alfie, but we have recently learned who will be starring alongside them. Redwater will launch with a full Irish cast - including stars of Orphan Black, Game of Thrones and Shameless - and we broke the news earlier in the week that Lost and The Others star Fionnula Flanagan will lead the show's main cast along with Shane and Jessie. Hot on the heels of that exciting announcement was the news that Maria Doyle Kennedy (Orphan Black), Ian McElhinney (Game of Thrones), Angeline Ball (Shameless), Peter Campion (Brooklyn) and Stanley Townsend (The Hollow Crown) have all been confirmed to join them. The drama will also feature Ebony O'Toole-Acheampong, Oisin Stack, Stephen Hogan, Susan Ateh and Ian Toner. And it's a bit of a local affair too. Earlier this month, the Dunmore residents were given the opportunity to get involved in all the action when open auditions for extras were held. Redwater locations: Where is it being filmed? In Dunmore East, County Waterford. And show boss Dominic has been sharing lots of stunning shots of the Irish location on Twitter. Redwater producer: Who's making it? The six-part drama series has been created by EastEnders' executive producer Dominic Treadwell-Collins and will be produced by him and Vicky Wharton, while Borgen's Jesper Nielsen will be directing. Life on Mars creator Matthew Graham, Matthew Barry (Casualty), Julie Dixon (The Bill) and EastEnders writer Lauren Klee have all come on board to write. It's being made by BBC Grafton House Productions in association with Element Pictures. It sure has. Filming kicked off earlier this week, with Shane and Jessie spotted heading to an Irish church. Shane has also been keeping his followers up to date on Twitter. 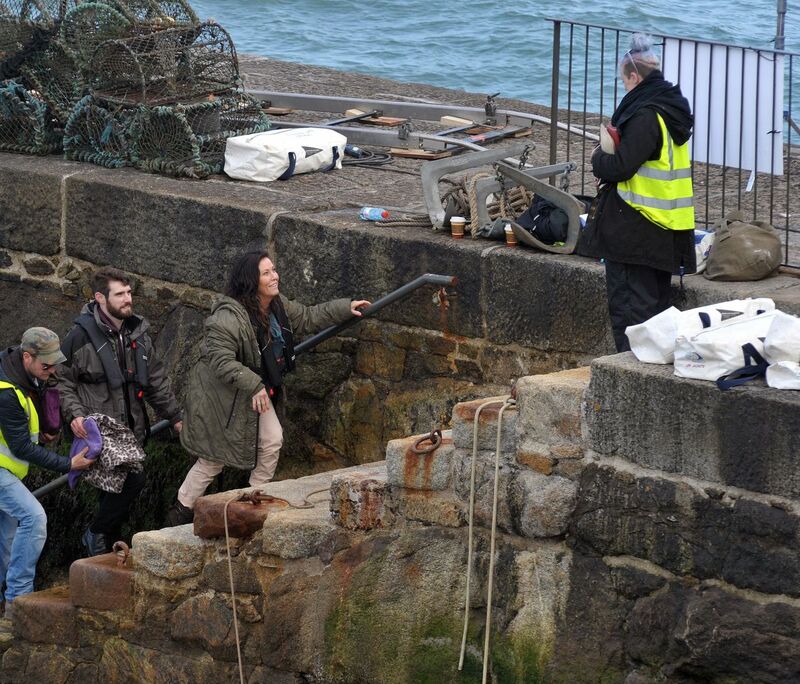 On Monday, he tweeted: "Day one #Redwater in the can." Redwater air date: When is it on? This is the all-important question! While it feels like this has been in the pipeline forever and several vague dates have been thrown around, the drama is now set to broadcast in 2017. Thankfully, it sounds like it will be worth the (very) long wait. 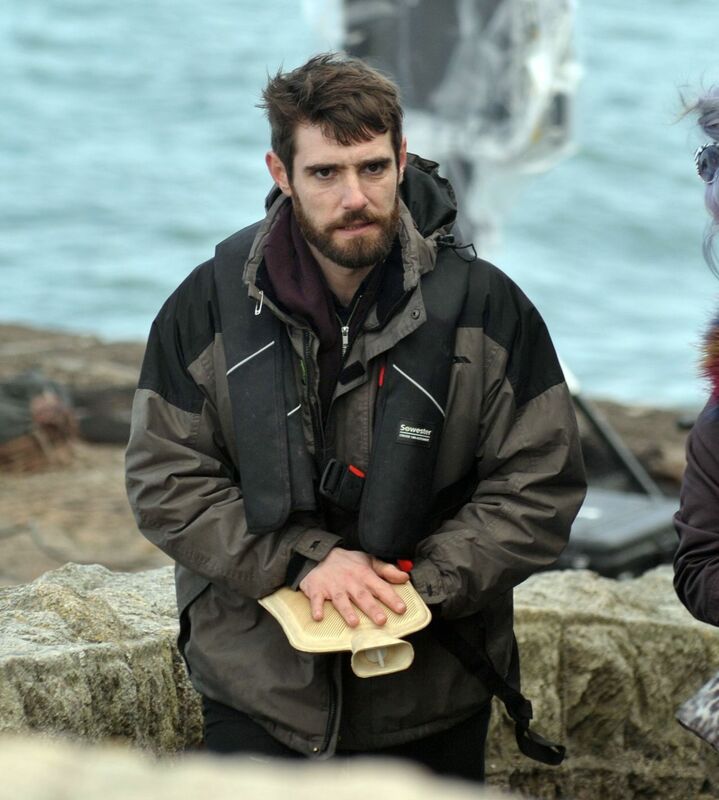 Shane has been building the Redwater hype, describing it as a mash-up of Broadchurch and The Wicker Man: "I've read the first script - about a third of the way through I was going, 'No, Kat and Alfie, turn around, you should not be there'." And Shane has further added to the excitement by suggesting that the show may not end after one series. Yep. He has very high hopes for the show's long-term future, saying that he would be surprised if it wasn't a long runner. Shane has also promised that the series will be respectful to Ireland and won't play the dopey card, after EastEnders was criticised for its portrayal of the country back in 1997. Oh, and Jessie has had quite the makeover for Kat's Irish adventure as well. Will Kat and Alfie come back to EastEnders afterwards? Again, it's too early to say. Initially, Kat and Alfie's exits from EastEnders were billed as just a break, but they have since appeared more coy about whether they'll actually be back. "We leave on screen next week and that's Kat and Alfie gone," Shane said recently. "We don't know. We could [come back], but it all depends what happens in Ireland." Helpful! We'll keep you posted, though. Last edited by Perdita; 13-04-2016 at 17:38. 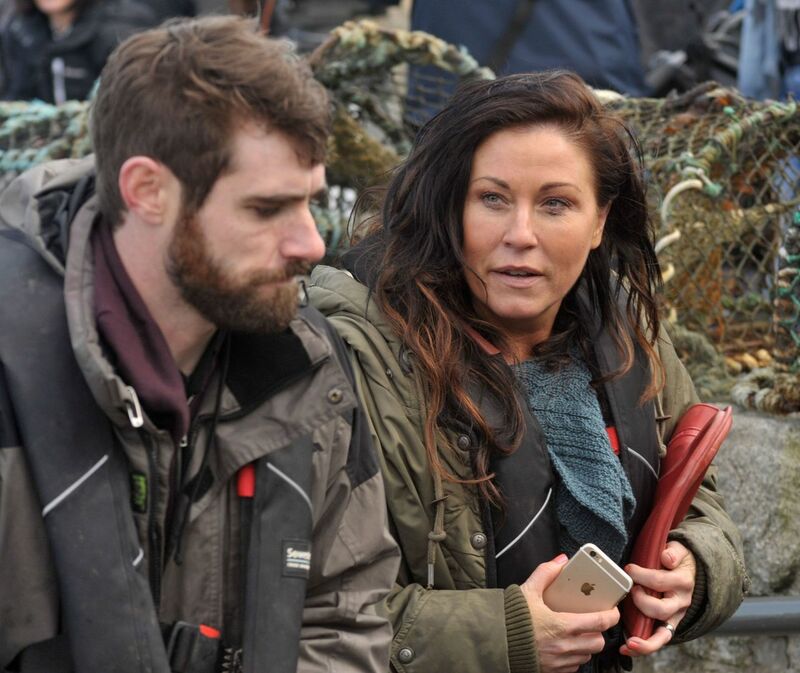 It hasn’t even finished filming but it seems the EastEnders spin off series Redwater looks set to become a regular series. The show follows Walford favourites Kat and Alfie Moon as they travel to Ireland to track down the son she never knew she had. While hunting for her child, Kat’s going to unearth a series of secrets that will cause chaos in her life, but she’s not the only one, as the villagers of Redwater have a few of their own that they are desperate to keep underwraps. Filming is underway and BBC bosses are said to be so pleased with how it’s gone they are considering making it a regular prime-time drama rather than a one-off. If that happens it means soap fans are unlikely to see Kat and Alfie – played by Jessie Wallace and Shane Richie – back in Walford. A source at the BBC told the Sun: “Everyone thought Redwater would be just a one-off, but plans are being drawn up for it to return once the six episodes are done. More details about upcoming EastEnders spinoff Redwater have emerged thanks to one of its writers. Matthew Graham, who has previously written for the BBC soap, revealed that the show, which sees Kat and Alfie Moon move to the Irish village of Redwater to look for Kat's long-lost son, would be "emotionally real and raw". "You can expect it to look amazing!" he told the BBC. "The lead director, Jesper [Danish helmer Jesper W. Nielsen] is a film director and has a tonal and visual ambition for this which is amazing. "It's to make Redwater as big as anything you see on terrestrial television and I've tried to write a cinematic episode 1. "The show has a heightened realism at times – I wouldn't go quite as far as to say 'magic realism' but through parts of the story we are allowed to take tonal liberties! It's very family-based. Very character-based. "And it's very emotionally real and raw. The cast are amazing! It's one of the best read-throughs I've ever been to... And it's very dramatic!" The show will see Kat and Alfie's arrival unsettle the local Kelly and Dolan families, with many surprises in store. Graham revealed that he has "loved" writing for Kat and Alfie, recalling of his time on EastEnders: "They were two of the best characters to write for. "They're so funny and tragic. You can put big, funny gags into their mouths and it works… Or you can break people's hearts with them. So that opportunity to write for them again was irresistible." The show recently announced its full cast, including stars from Orphan Black and Game of Thrones alongside main stars Shane Richie and Jessie Wallace. 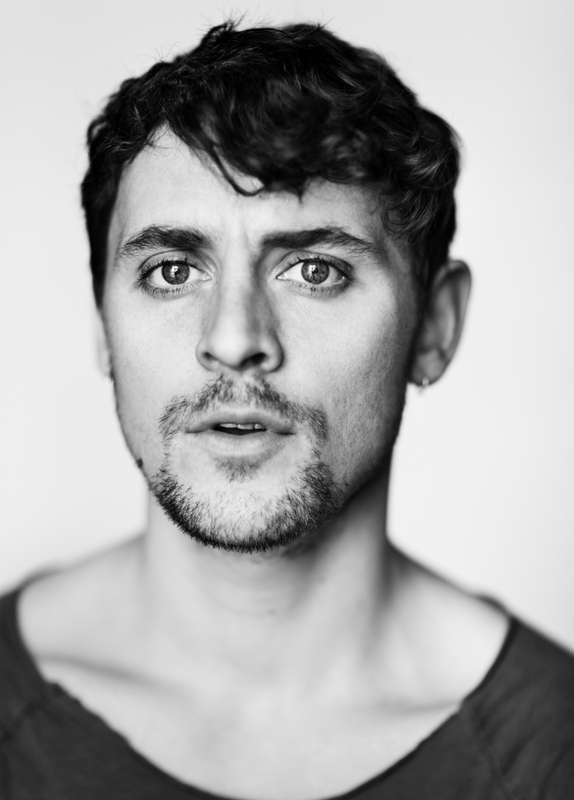 Writers Matthew Barry (Casualty), Julie Dixon (The Bill) and Lauren Klee (EastEnders) are also involved. 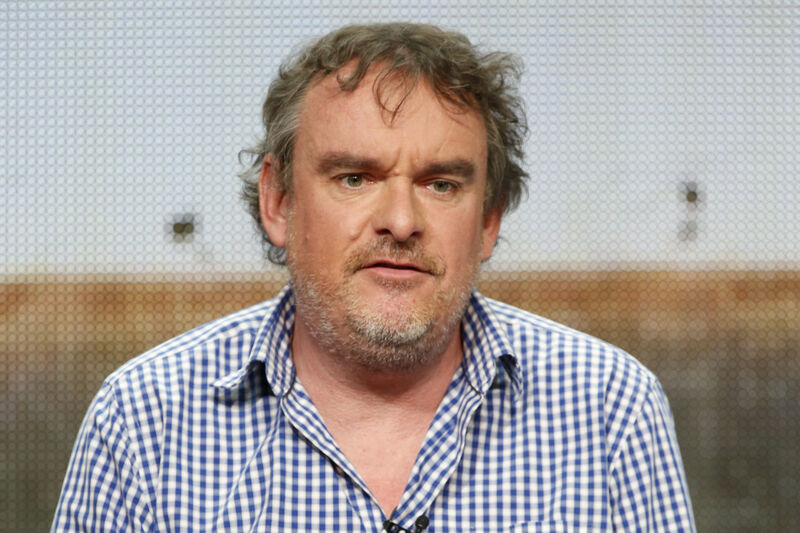 The series will have six hour-long episodes, with Richie describing it as "Broadchurch meets The Wicker Man", adding that he hopes it will become a long-running show. Could EastEnders favourite Kat Moon have finally found her secret son? 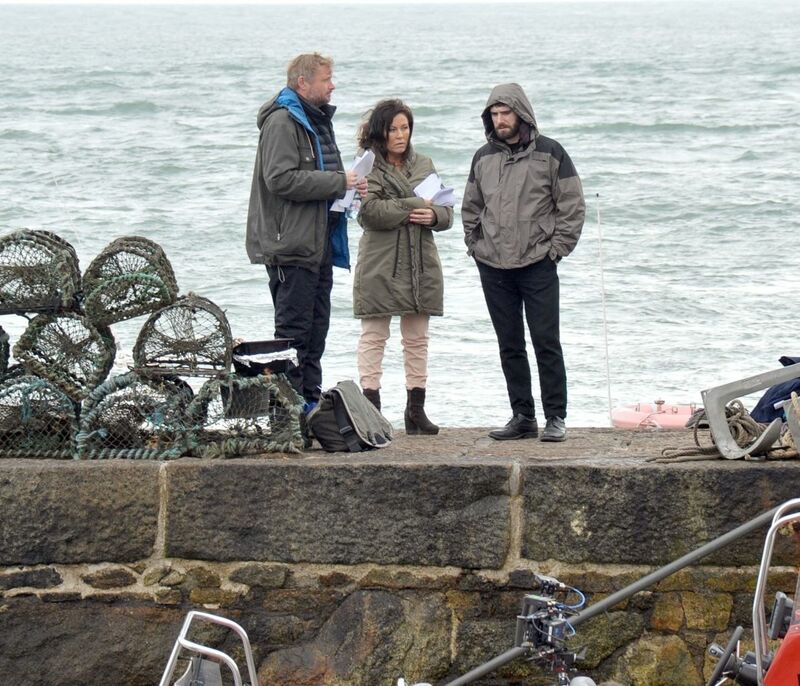 Jessie Wallace has been spotted filming intense scenes for her upcoming spinoff Redwater with new co-star Oisin Stack, setting tongues wagging that he could be playing Kat's long-lost son. 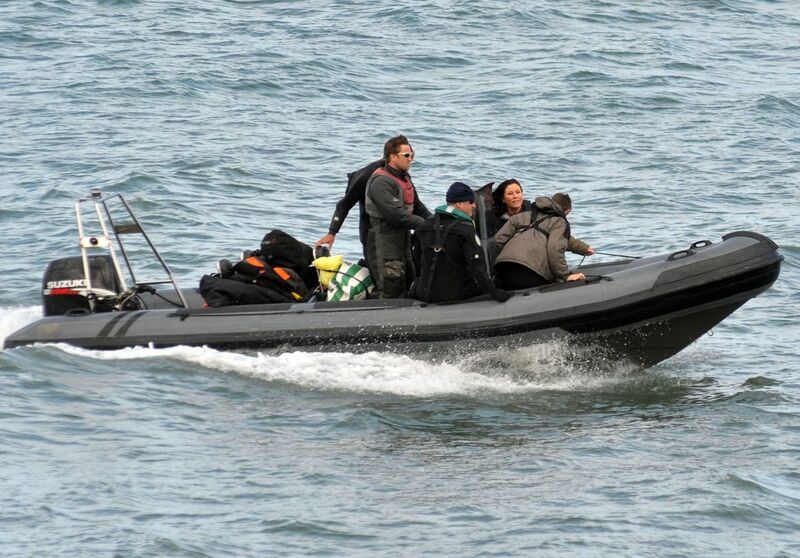 Paparazzi photographers caught the pair heading out on a boat into the Irish Sea while shooting on-location in Ireland yesterday (May 5). Wallace appeared slightly windswept but in good spirits after the dramatic scenes were over, but the real talking point was what it all means for her character Kat. Wallace and Stack clearly had lots to talk about in a break from shooting, but could it be that their characters are related? Does Stack's character merely hold a clue to who Kat's son is? Or do the scenes revolve around another secret kept in the mysterious village of Redwater? Stack is playing the role of Dermot in the show, but as with all of the characters, producers are keeping very tight-lipped about who he is and the part he'll play in the story. Filming on Redwater began last month and the six-part series, which stars Kat and her husband Alfie (Shane Richie), will air on BBC One in 2017. They're being joined by an all-Irish cast for the programme, including Lost and The Others star Fionnula Flanagan and Game of Thrones and The Fall actor Ian McElhinney. Redwater will focus on Kat's search for her long-lost son, as well as another dark secret which is being kept by the local villagers.